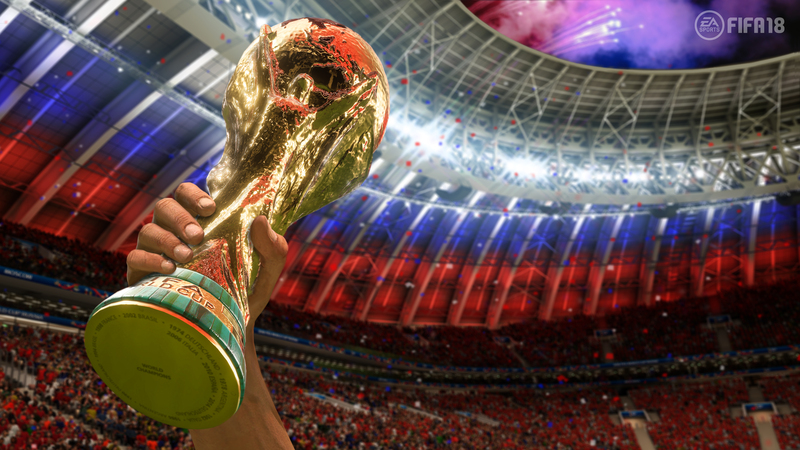 Nobody knows how the 2018 World Cup will unfold, but EA Sports’ Fifa 18 is probably your best port of call for a ballpark prediction. Fifa 18 this year comes with a free World Cup update which will allow users to play the tournament with their favourite teams and footballers, so EA Sports ran a simulation to see who the game thought might stand a chance of lifting the trophy. The group stage saw few surprises, although Mohamed Salah’s Egypt exited the tournament, Croatia pipped Argentina to first place in Group D, and Iceland were knocked out as well. Meanwhile, the two greatest players on the planet, Cristiano Ronaldo and Lionel Messi, were knocked out in the last-16 with Portugal and Argentina respectively, while Brazil hammered Denmark 4-0. And England? Fifa 18 definitely proved it has a sense of humour, with the Three Lions knocked out on penalties by Columbia in the second round. With England out, who would reach the final? After Belgium surprised Brazil 2-0 in the quarters, it was an all-European set of semi-finals: France v Belgium, Germany v Spain. 2014 Prediction –  ✔️ 2018 Prediction –  Predict your #WorldCup winner by clicking our bio link now! Eventually it was France who sealed a dramatic victory, defeating Germany 4-3 on penalties after a 1-1 draw and vanquishing the demons of the 2016 European Championship final where they lost to Portugal in extra time. And the Golden Boot award? That was shared by Spain’s Isco and France’s Antoine Griezmann. Will either player replicate their in-game success in Russia? Fans can make their own predictions with EA Sports’ World Cup predictor by clicking here.